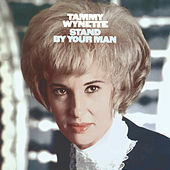 How ironic that the woman best known for fronting the female divorcee country movement hit huge with "Stand By Your Man"? But when Wynette sang sad songs about love (best exemplified on the title track), the dire urgency in her weepy voice could cripple anyone. "Cry, Cry Again" blends sorrow-drowning sentiment with the lush choral arrangements of old school Nashville.